The Piyo Piyo Rolling Barrel Shape Sorter definitely helped my little one work on her crawling too! And at $11, you can’t go wrong! FYI, if you’re not familiar with the brand, check them, out. 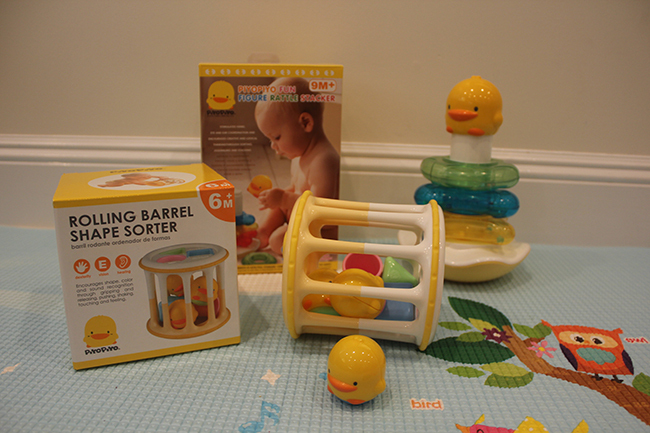 In addition to smart, cute, and clever toys, Piyo Piyo has some really great baby care items as well.